This recap was written and submitted by the fabulous Emily @ Read Your Bookcase. Great work, sidekick! Jules sees a vision of a crash happening in billboards and screens. In the vision, a snowplough crashes into a building and there are nine body bags in the snow. She investigates in order to save lives. This results in people thinking she’s crazy, her uncovering family scandal, and injury. Jules family owns a pizza place. Her father has problems with depression and hoarding. Her grandfather killed himself. He also had problems with depression. 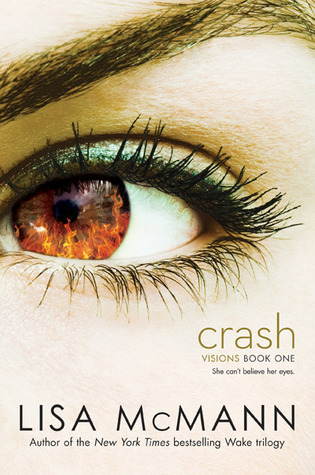 Jules has the vision in which a snowplough crashes into a building, and nine people are killed. She is determined to investigate. Jules’ family had an amazing pizza sauce. A competing restaurant, owned by the Angotti family, stole the secret recipe. Jules’ family tries to sue the Angotti family, but had no evidence to prove they were guilty. Jules and Sawyer (an Angotti) are into each other, but both were forbidden from seeing each other due to the pizza sauce feud between the two families. Jules figures out that the building in the vision is the Angotti restaurant. Jules tries to warn Sawyer, since it’s his family’s restaurant. Jules acts crazy and Sawyer’s family threatens a restraining order against her. Sawyer’s grandfather is a JERK. Jules figures out the day and time the crash will happen. Jules thought the crash would happen on Valentine’s Day, but she realized -just in time- it was actually the day BEFORE. Juliet jumped in her family’s delivery truck, turned off the gas line to the restaurant, and crashed her car into the snowplough, preventing it from hitting the restaurant. Jules almost died herself, but only one person died – the man who was driving the snowplough. The reason the crash would have happened was because he had a major heart attack. Jules was seriously injured, and Trey (who showed up and got in the truck) was slightly injured. Everyone at the restaurant was ok.
Sawyer came to the hospital and told Jules more about their families. Jules’ father and Sawyer’s mother had an affair when the kids were young. They plotted to leave their spouses and join forces to create one pizza enterprise. Jules’ father even told her the secret recipe. However, they broke up and Sawyer’s mom gave the secret recipe to her family in order to make up for her affair. This resulted in the suicide of Jules’ grandfather, the major hoarding problem that her father had, and the feud between the two families. Sawyer decided that he wasn’t going to listen to his family anymore. He wanted to be with Jules. He showed up at her house and it turns out HE IS SEEING VISIONS now, too. Here comes book #2! CRAZY.